Washes and solvents are an important component in the complex printing process. 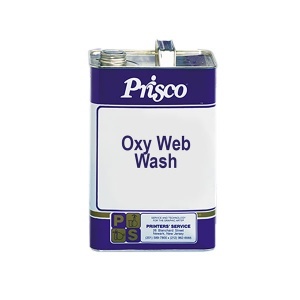 That is why Prisco has hundreds of formulas to meet every web offset press cleaning need. Many of our products have been tested and approved by leading manufacturers of web presses, automatic roller and blanket cleaning systems and industry organizations (e.g. FOGRA). Our most popular washes for use on web offset presses for cleaning blankets and rollers are listed below. Contact your Prisco Representative for specific recommendations for your plant. Moderate strength, moderate drying wash for oil-based inks. Strong cleaning, slow drying wash for oil-based inks. Moderate strength, moderate drying, water miscible wash for oil-based inks. Approved for use in automatic blanket washing systems as well as in hand cleaning. Moderate strength, slow drying cleaner for conventional inks.